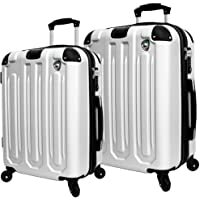 2-Piece Mia Toro Italy Regale Hardside Spinner Luggage $100 at Sellout.woot! Tip: Avoid low or no feedback sellers, search and select "Buy It Now" tab and sort by lowest price. You may modify min price to filter accessories to get Regal auctions.